Israeli and Russian military officials have agreed to continue the coordination of their military actions in Syria, the Israeli army said. The agreement followed a series of meetings between Israeli and Russian military officials, held after the Syrian army mistakenly intercepted a Russian plane during an Israeli airstrike in the war-torn country. "Today, a series of working meetings between a delegation of senior officers from the Russian Armed Forces and their IDF (Israel Defense Forces) counterparts were concluded," the IDF said in a statement on Thursday, Xinhua reported. "The delegations reached understandings and agreed to continue their joint work," the statement read. The Israeli delegation was led by the Head of the Operations Directorate Yaniv Asor and included working groups of senior officers from both armies. "The meetings were conducted in a good and professional atmosphere, and included promoting and improving the mechanism to prevent friction between the two militaries in the northern arena and the IDF's activities against Iranian entrenchment and the arming of Hezbollah in Syria," according to the Israeli military. The announcement came as Israeli Prime Minister Benjamin Netanyahu was escalating his comments against Iran's presence in Syria, warning of Israeli attacks. "I advise them to get out of there (Syria) fast because we will continue our offensive policy as we promised and as we do without fear or pause," he said on Tuesday. Israel says it is not part of the eight-year war but its military has carried out hundreds of air attacks in recent years against Iranian and Syrian army positions in Syria, in addition to weapons convoyed for Hezbollah, a Lebanese Shiite militia. 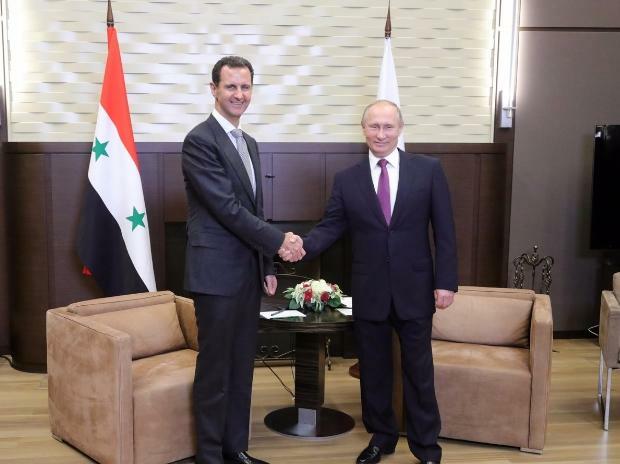 Israel and Russia have been coordinating their moves in Syria over the past years. But this coordination met difficulties after Syria mistakenly shot down a Russian reconnaissance plane following an Israeli airstrike on September 17, 2018. The plane's 15 aircrew soldiers were killed and Russia's Defence Ministry said Israel should be held accountable. Russia has started to provide the Syrian army with S-300 air defence system in the wake of the incident.